If you’re following me on Snapchat (if not, you should be—> glammzmore 🙂 ) you’ll know that I love to cook and I’m always sharing my meal prep and meal ideas. Wanting my living space to better reflect the fashionista that I am, I’m currently doing a little redecorating in my apartment. I’m starting with the kitchen and I’ve been replacing kitchen tools and accessories, and updating my cookware around a new color scheme. I’ve always wanted an enameled cast iron dutch oven in a pretty color, but couldn’t bring myself to spend over $300 for a pot (Le Creuset, le sigh.) I recently discovered the Martha Stewart Dutch Oven, and it was so affordable that I bought one as a Mother’s Day Gift for myself. 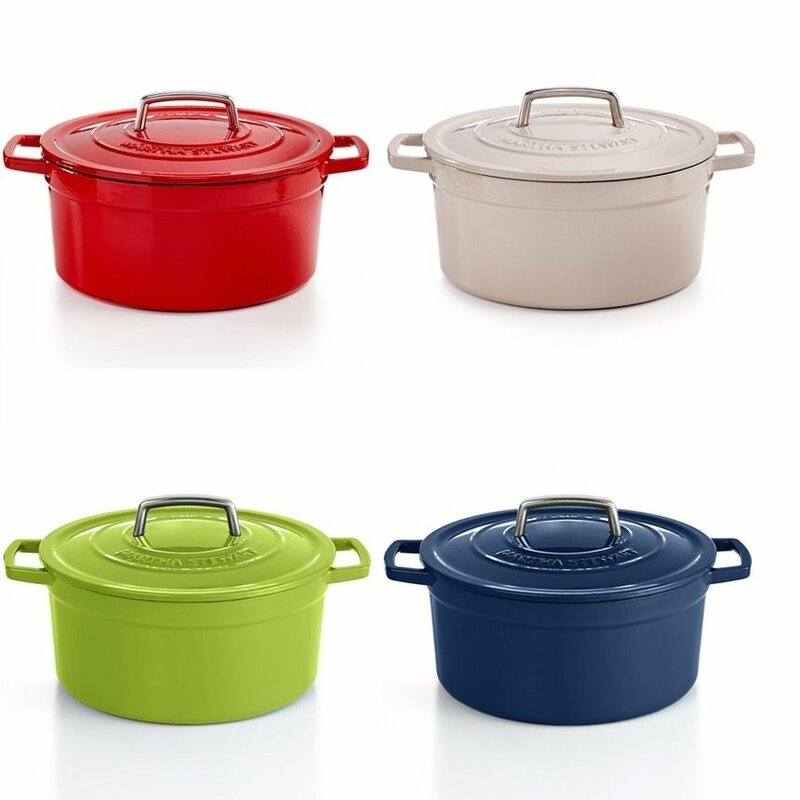 Perfect for the Fashionista that loves to cook, the Martha Stewart Dutch Oven comes in an array of beautiful colors to compliment her kitchen & style. The Martha Stewart Collection Collector’s Enameled Cast Iron Round Casserole (Dutch Oven) comes in 2 qt, 6 qt and 8 qt sizes, and is available in 11 colors. 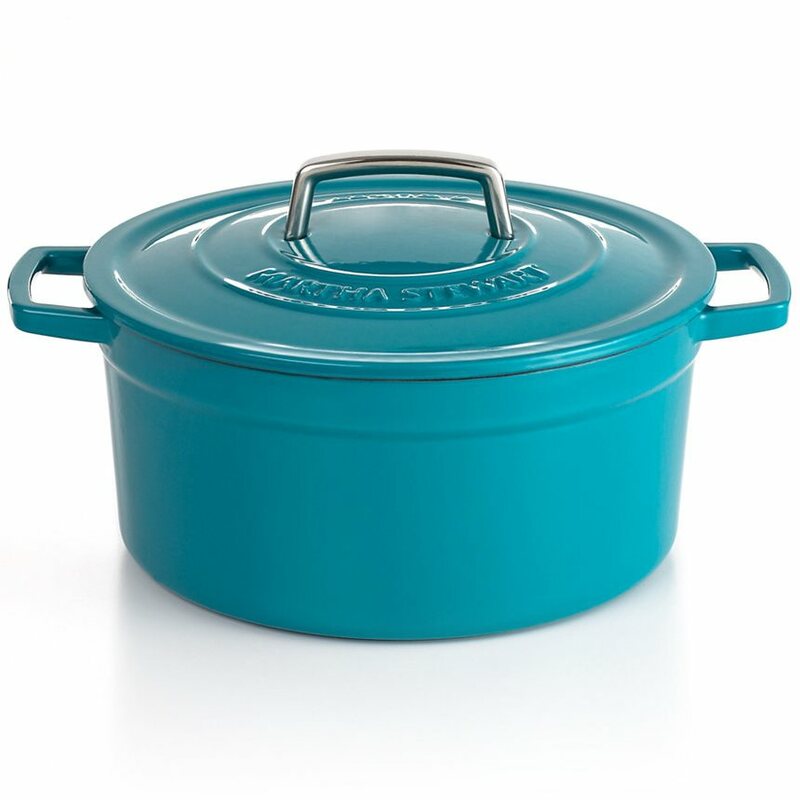 I purchased the 6 quart in Teal as it’s the perfect size to cook a meal and have leftovers for my small family, and the color is absolutely gorgeous. The versatile dish is perfect for baking casseroles, browning meats, whipping up soups & stews and so much more. The heavy-duty construction distributes heat evenly, locking in moisture to slow-cook stews and braised roasts. The interior doesn’t need to be seasoned like regular cast iron, and it’s oven safe up to 500 degrees. So you can start your meal on the stove top and finish in the oven, and the Martha Stewart Dutch Oven is so beautiful that you’ll want to show it off at the dinner table (using a trivet of course.) The colors are so pretty that you’ll have a hard time choosing. My favorites are Teal, Strawberry, Clay, Apple Green and Blueberry! The Martha Stewart Dutch Oven is available exclusively at Macy’s and all sizes are currently on sale, along with the entire Martha Stewart Enamel Collection. The 6 Qt. Round Casserole is on sale for $79.99, and a Macy’s Friends & Family Sale is currently going on through 5/2, so you get an additional 25% off. This makes the 6 Qt. just $59.99, down from $179.99. There’s also Free Shipping at $25. Oh, and when you shop through Ebates you’ll get 8% cash back. I also purchased the Enamel on Steel Tea Kettle in Teal to match my Dutch oven, and my Auntie bought me the 10 Qt. Enamel on Steel Stockpot. Winning.